Anyway..., things are still busy but news and reviews will pick up. 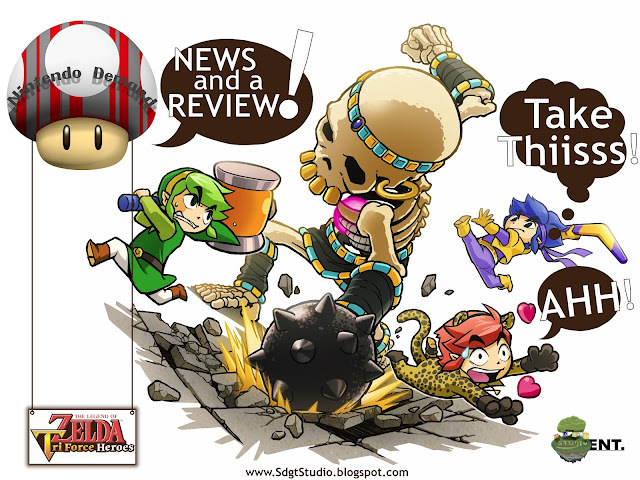 We are actually working on switching things up little by little... getting Nintendo-Demand over to SDGT Ent fully. Broken record time: The reason the switch began in the 1st place is... (hmmm..., ah yes) Nintendo represents specific platforms (like the Wii U and the 3DS ), and as mentioned before... we represent all platforms. On that note... representing all while one is headed over the others is something we wanted to change. Nintendo's turn is up next... as I review... (the game they sent at the end of last month... and as you know by the awesome image below, its) The Legend of Zelda Triforce Heroes ! Get Nintendo 3DS Retail Versions here! Get Nintendo 3DS Digital Codes here!